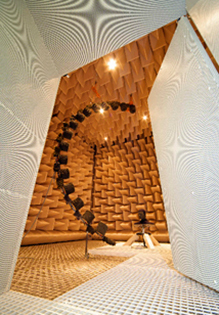 Auditory communication and processing of acoustic signals occupies a dominant position in information science and technology; mobile communications, broadcasting services, hearing aids, and sound reinforcement systems being well known examples of its application areas. Furthermore, acoustic signal processing for man-machine communication is of great importance, e.g. in automatic speech recognition, dictation, and speech dialog systems, and for access control. Current research aims at making several modes of human-machine interaction (auditive, visual, tactile) concurrently available and integrated into novel applications. The Institute is equipped with a high speed computer network, workstations and real-time signal processing systems. 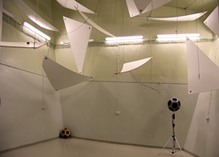 Furthermore, we possess equipment and rooms for acoustic measurement.